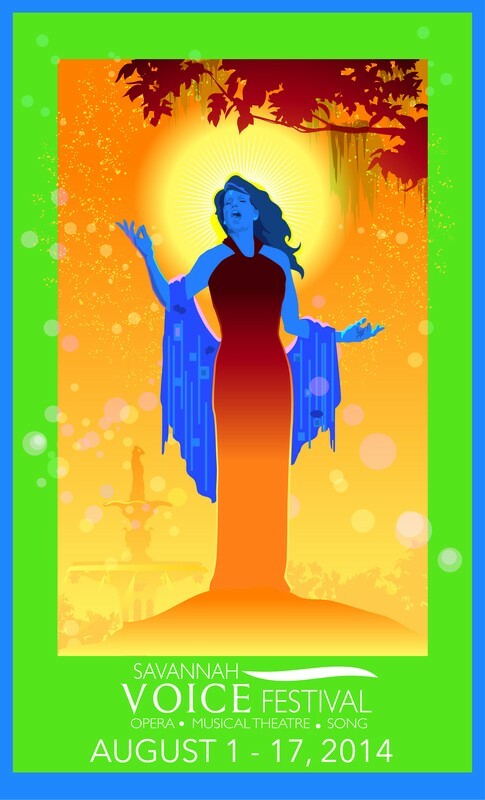 The 2014 Savannah VOICE Festival is a two-week celebration of excellence in vocals through opera, musical theater and popular songs, scheduled for August 1st through the 17th, 2014. An introduction to the artists of the 2014 Savannah VOICE Festival as they perform opera arias, musical theater, and song in a casual cafe setting. What happens when you pick a musical question out of a top hat? An interactive and entertaining concert – but don’t worry: participation is not required to attend! Savannah’s youth talent takes the stage to offer a concert showcasing their considerable talent as well as their growth in the vocal arts. An uplifting and inspirational concert of songs, oratorios, and liturgical music. Studio artists enter into a lighthearted competition before the VOICE Faculty panel of judges. Who will win to become Opera Idol? And, of course, much, much more. Organized by the VOICExperience Foundation, the Savannah VOICE Festival’s mission is to perpetuate and highlight the vocal arts by bringing quality vocal performance and education to the southeast via the best names in opera and song. Show your support of the vocal arts and enjoy an amazing array of performances and talent by attending one of the many exhibitions on schedule for this year’s Savannah VOICE Festival. 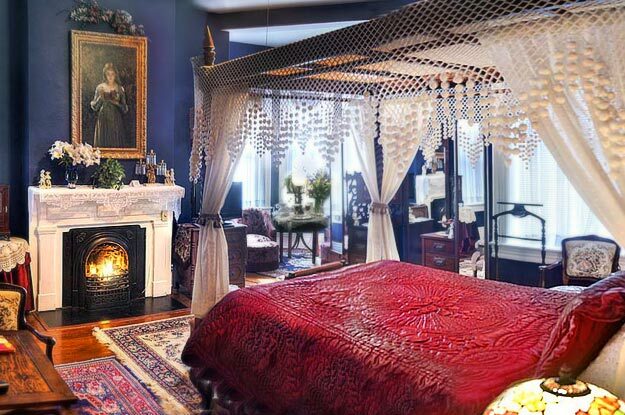 McMillan Inn, your Savannah vacation headquarters, features twelve luxurious rooms and the Carriage House within two blocks of historic Forsyth Park. When you stay at McMillan Inn, you not only experience an era gone by but are also treated to the finest in modern amenities. 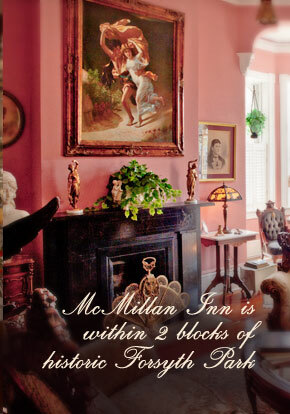 Elegance, value, Victorian charm, and the best of Southern hospitality – that’s the McMillan Inn.